Social media rules the internet. 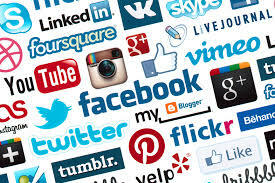 While there are countless webpages on a number of topics and for a number of purposes, one must admit that social media sites like Facebook, Twitter, and Tumblr have gained a reputation for a loyal, active, and insightful audience looking to communicate, connect, and enjoy the fruits of collaboration. With this in mind, and since the business world is going online, it’s crucial for companies to cash in on the social media opportunity. By keeping these three things in mind, you can use social media to generate more leads, positive feedback, and profits for your business than ever before. 1. Build a Brand Personality Professionalism is the key for any business. However, especially with the explosion of the internet and the way it has hyper-connected the world, having a personality to make you stand out from the crowd is what determines wild success or, well, the lack thereof. There are so many businesses online, and so many for customers to choose, so why should they pick you? One reason: they like you. Social media allows you to create a personality for your brand that will connect with readers and make them feel like they can trust you, making you the first choice over a faceless entity that resembles all the credibility of Slenderman in a dark city park. - Talk about more than just your business. While your account is for business, your content shouldn’t be entirely business-focused. Followers look at your content because it interests them. No one appreciates spam that only talks about the latest deals, the new changes in price, or why they should use your services. A healthy dose of new content will have your followers interested, willing to pay attention when you do post a form of advertisement. - Be consistent. While you and your best friend might jump from topic to topic mindlessly, a certain amount of professionalism has to be maintained when building a brand personality. Be sure to keep your posts relevant to your company, though diverse. If you are a florist shop, post articles about the meaning behind flowers, the ten most on-demand flowers of the year, or pictures of weddings with certain flowers. This gives your followers something to enjoy, compelling them to follow your content, while reminding them what your business is all about. 2. Reach a Broader Audience The internet is a large place, but social media is where people congregate to enjoy their spare time. It’s essentially the Main Street of the digital world, and having an account on social media is like having a storefront right on the main strip, making you known to more people than ever before. - Have multiple accounts. With this in mind, it’s important to tap into all the potential. By having multiple accounts, it’s like opening a shop on every Main Street in every city for miles; those who may not visit LinkedIn may be on Facebook every day, and so on, allowing you to reach an audience who may not have done business with you simply because they didn’t know you existed. Be sure to not limit yourself to any one social media site; there’s much more potential, so why hold back? - Know where your target audience is. Having an active account is crucial, otherwise the stagnant page will seem outdated and unprofessional, but managing a social media account can be both costly and time consuming with or without a professional manager to handle the task. While it’s important to have many accounts, there’s no need to open one on every site, only to let them sit dormant. Be sure to know where your audience is and target them in their habitat. If you sell baby clothes, then Facebook is a more popular site for moms than Tumblr, and you will have better luck reaching your target audience. 3. Engage With Your Audience The most important part of social media is to be just that – social. It’s not “isolation” media, so the only way to reap the benefits is by reaching out, connecting with your audience, and encouraging them to pay attention to what you offer, what your company motto is, and how you stand out from the competition. - Encourage conversation. No matter your approach, it’s important to ask the question, “Will this encourage conversation?” People like to talk, especially online, so by inspiring dialogue, more familiarity is being developed with your brand, more people are paying attention, and it’s more likely your followers will recommend you to others. Be this commenting on other pages, messaging your followers, or making posts that end with a “call to action,” encouraging conversation will boost the activity of your page among followers, making them more willing to choose you over the less active businesses’ pages. - Ask for suggestions. Social media offers the perfect opportunity to gain feedback from your consumers and improve the quality of your services. While connecting is important, making the service or product you offer as quality as possible is truly what makes profits. Social media allows you to gain honest opinions from consumers or ask for advance suggestions on new products, so you can apply those changes early to save both time and money. This not only garters you valuable insights, but followers will feel included in the process and feel that you are valuing their opinions, building a relationship between the both of you that encourages trust and confidence, ultimately leading to greater profits. Social media is as easy as talking to your friends, but for a business, it has many more rewards and far more complications. With a careful balance of professionalism and personality, focused content and a broad reach, your business can connect with customers, build a positive reputation for your entire brand, and improve the quality you can produce. This will gain profits not only for the short-term, but for the long-term benefit of your business.